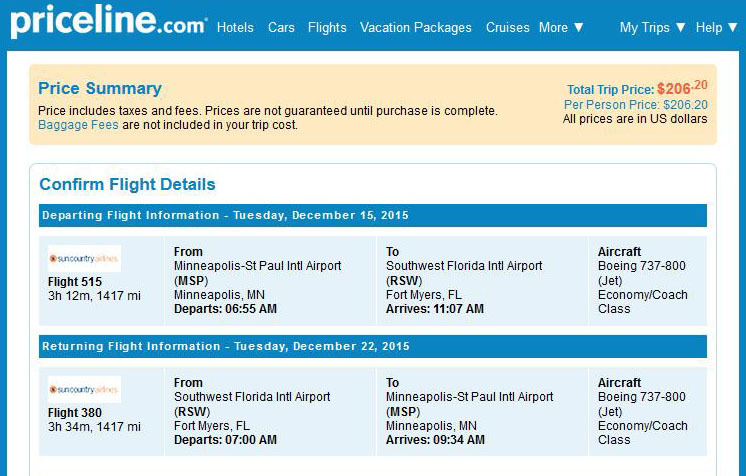 Get in some warm Floridian sunshine this fall or winter and save up to $125 on the usual cost of a roundtrip ticket! 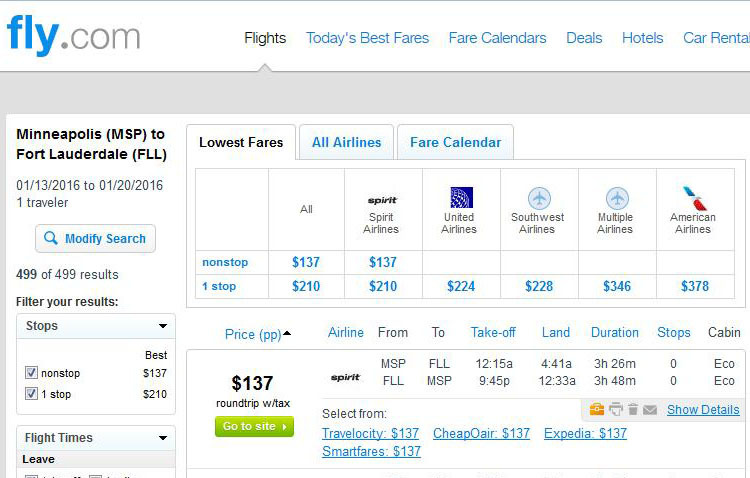 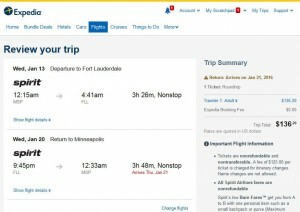 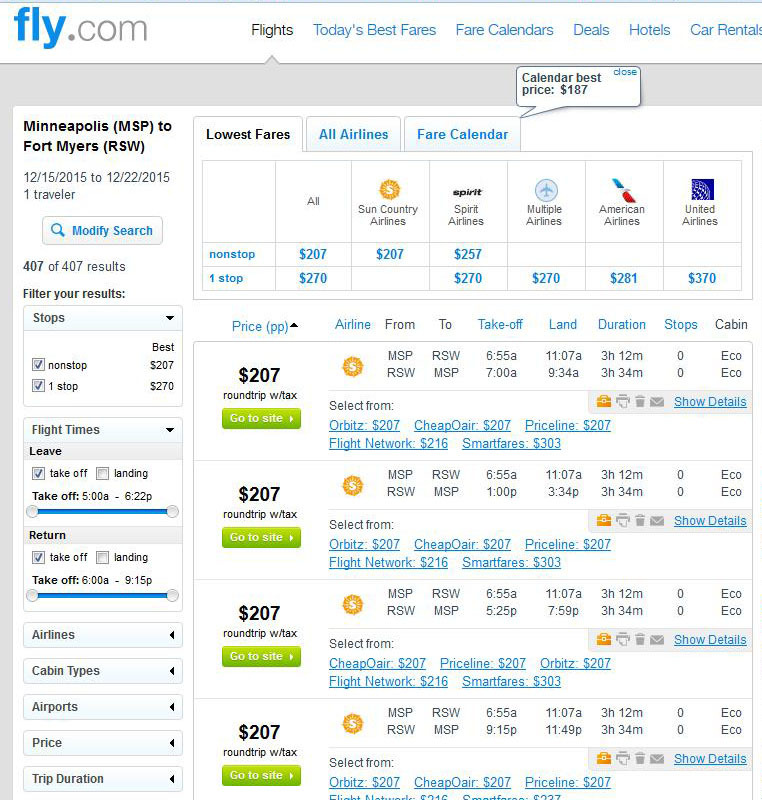 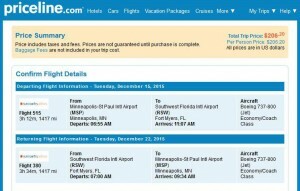 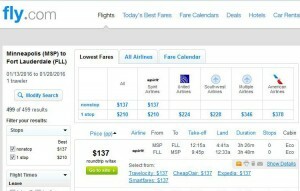 Nonstop flights from Minneapolis to Fort Lauderdale, Orlando, Tampa and Fort Myers are now just $137-$207 roundtrip. 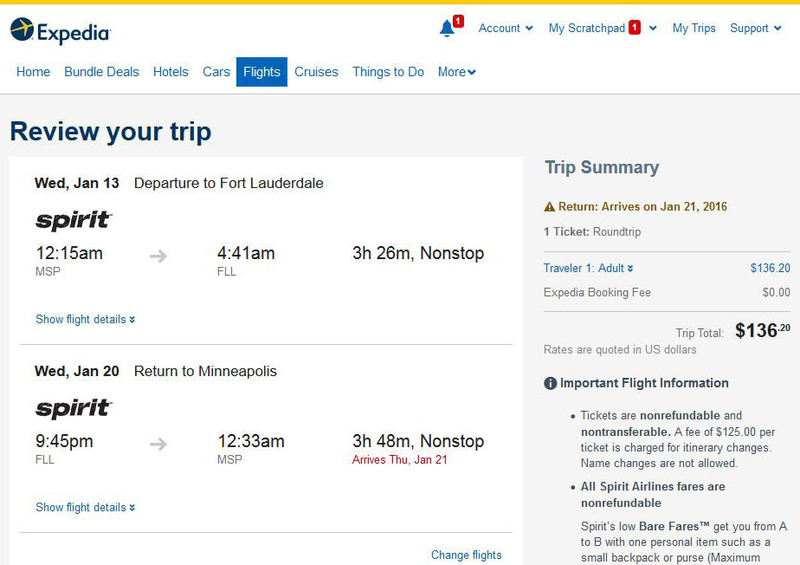 Flights are primarily on Spirit Airlines, except on flights to Orlando, which are on both Spirit and Sun Country Airlines. 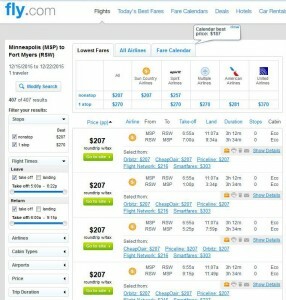 Sun Country charges $25 for the first checked bag.